Kamlesh D. Patel is an original voice in an ancient tradition. Known to many as Daaji, his teachings on Heartfulness Meditation arise from his personal experience, while reflecting his deep spirit of enquiry and respect for the world’s great spiritual traditions and scientific advancements. Born in Gujarat in 1956, Daaji displayed an early interest in meditation and spirituality. He started Heartfulness Meditation at the age of nineteen, while studying to be a pharmacist. Soon after, he met his first Guru, Babuji, the second guide in the Heartfulness lineage. After graduating with honours from L.M. College of Pharmacy in Ahmedabad, Daaji married and moved to New York City. There, he and his wife raised their two sons, while he steadily built a successful pharmacy business. At the same time, Daaji continued to pursue his love of meditation as a devoted disciple of Babuji’s successor, Chariji. 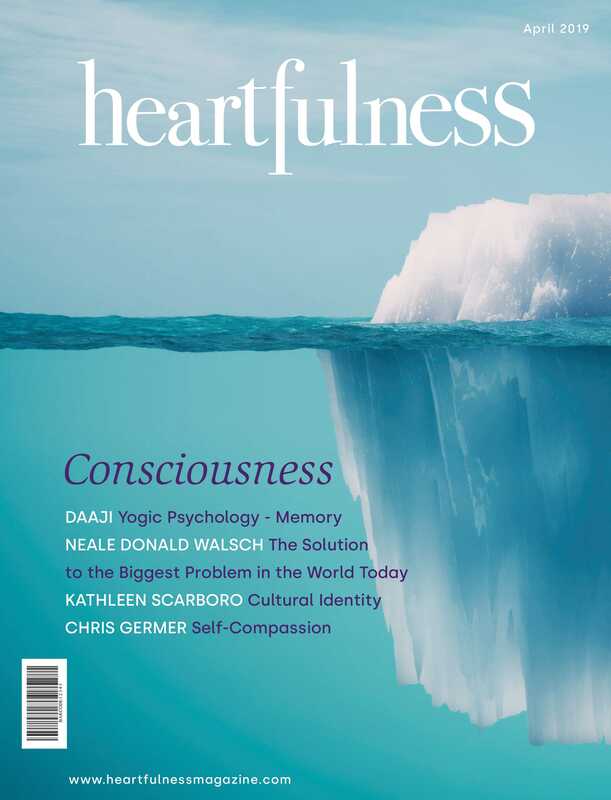 Over the years, Daaji played an increasingly active role in the Heartfulness Movement, both organisationally and by spreading its message and teaching its method. In 2011, Chariji selected Daaji as his spiritual successor. As the leader of the Heartfulness Movement, Daaji now fulfils the many duties of a modern-day guru, travelling widely and extending his support to seekers everywhere. Daajifirmly believes in nourishing today’s youth with practical self-management tools and universal values. Under his guidance, students and faculty in over 2,500 schools, universities, and colleges are now benefitting from a portfolio of value-based self-development programs. As a self-professed student of spirituality, Daaji devotes much of his time and energy to his personal research in the field of spirituality and consciousness, and regularly shares his findings through public speaking engagements, his website and social media platforms, and in broadcast, print, and digital media. Daaji’s articles have appeared in various leading publications including Huffington Post, Chicago Tribune, Times of India, and Business Standard. His well-received Radio City Swaran series, Dil Ki Awaaz, ran for twelve episodes. Daaji’swish is for Heartfulness Meditation to be available to every household around the world. Under his guidance, Heartfulness organisations offer free meditation training at thousands ofHeartspots and Retreat Centres in 130 countries, and Heartfulness trainers are available worldwide for individual and group meditation in person or remotely via the Let’s Meditate app for iPhone and Android.